Everyone knows Superman, but not everyone knows the story of two youngsters from Cleveland who created Superman. Based on archival material and original sources, “The Artist Behind Superman: The Joe Shuster Story” tells the story of the friendship between writer Jerry Siegel and illustrator Joe Shuster, and puts it into the wider context of the American comicbook industry. 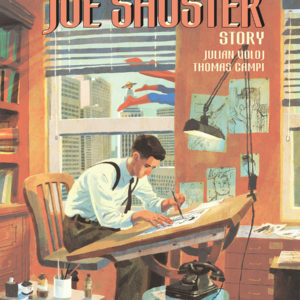 Go behind the scenes with JOE SHUSTER!